Have you recently been blessed with a child? If the answer to that question is yes, then you need to decorate their home with children´s bedroom decor which makes them feel as comfortable as possible, something which this charming and soothing wall decal certainly does do! 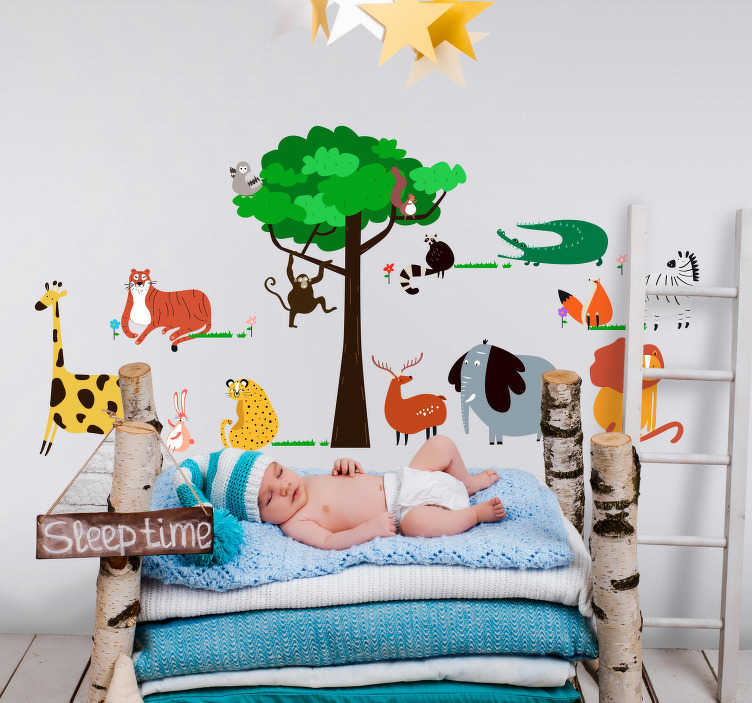 Depicts a selection of wild animals to keep watch over your baby as they sleep!